Casa Natal is the latest addition to our New Discovery range of wines featuring wines from Spain’s lesser known regions. Montsant is the highly praised new DO which surrounds the DO Priorat . Often known as the “Baby Priorat” it’s now rapidly establishing its own identity and reputation for more affordable, less intense and more elegant, rounded wines. 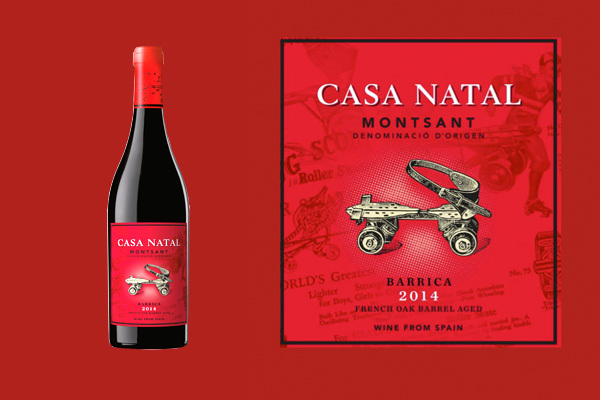 Casa Natal is a characterful Garnacha-based wine blended with Carignan and with a light touch of oak – it’s produced by Long Wines at Cellers MasRoig and blended by Fernando Mora. Named after the house where the artist Antonio Gaudí was born nearby in Reus, Casa Natal means birthplace in Spanish. This young wine epitomizes the results of returning to the roots and producing something new in an up and coming region.